I use TimeTap to schedule my weekly private music lessons clients. I like that my clients can directly choose what time works for them with less back and forth. It is awesome that they have the option for group classes as well, big time-saver. I especially like the automatic reminders, it makes it more likely my students and their families will remember their lesson time. There are minor effeciency downfalls, like no way to simply change an already scheduled appointment to a recurring schedule, but overall this does not impact the time I spend scheduling enough to make it a turn-off. The app does not have all of the features of the desktop, but it is functional and allows me to mark appointment statuses from my phone. I don't have to sink as much time into scheduling and reminding my students of their lesson times. It is also easier for me to track my income since all of my appointments are in one place and sync to my digital calendar. Thanks so much for taking the time to complete this review for us! I'm glad to hear that TimeTap has been saving you time in reviewing your schedule week to week and reminding students of their lesson times. Feel free to reach out to our support team with any suggestions or questions! "Timetap is the best option to get organized"
Timetap fascinates us with the automation system of recall campaigns, and how customizable the booking forms are. We like your integration to open API tools, and that your lists of agendas can be exported with just a couple of clicks. We also like that we can create appointments from scratch in a completely unlimited way, without worrying about exceeding any limit. The online payment processing system works properly, without problems. We dislike how complicated it is to manage the states of each appointment, since it is complicated to organize, either by staff or by location. We do not like the customer management system, as it does not show enough information about these. The Dashboard is not very customizable, and it is difficult to add locations to our appointment offers. Now, we do not like your messaging system, because it offers few customization options. It also does not have enough templates for appointments. We recommend using timetap for all SMEs that need to better manage their time, and their calendar synchronizations. We recommend it a lot to handle recurring appointments and perform scheduling in real time. We could not be more satisfied with its use. Since we started using timetap we have noticed a great improvement in our working time management. Now it is easier for us to manage our job interviews, and schedule our appointments and events. In addition, the fact that your online booking system has so many integrations saves us a lot of time. What Online Appointment Scheduling solution do you use? "Timetap will save you a lot of time"
We like that TimeTap's client management system does not limit the information we can get from each client at all. It shows email information and phone number, as well as data on the prioritization that we will add to each client. The invitation templates provided by timetap are highly customizable, just like your online messaging system. We do not like that the android application is so complicated to manage. It does not work for the creation of recall campaigns, and the professional plan is very expensive. In addition, timetap does not offer any integration with salesforce, nor access to an Open Restful API that makes its integration to other platforms easier. Your Screen sharing system is quite slow. It is recommended to use TimeTap to manage small businesses. With its use it is much easier to stay organized with the rest of the team, and each appointment is highly customizable. The plans that timetap has to offer are quite cheap, so anyone can access them. We highly recommend your templates for email. We had problems not having found an appointment management service that offered completely customizable security levels. TimeTap luckily has provided us this and more. Its system of professional internationalization has helped a lot to the understanding of the platform. It should be noted that now it is much easier than before to schedule appointments and job interviews. "Timetap is excellent for appointment and room booking"
We love the appointment planning system that gives us timetap. We really like the ease with which we can organize each appointment, and that your room booking application is so customizable. It should be noted that we also like that timetap offers a good system for scheduling appointments, courses, and meetings. We love your mobile access. We do not like the curriculum vitae management system, nor the clumsy criminal record management system. It also does not allow to manage projects (it is limited to the planning of these.) The online payment system of timetap is a bit slow and limiting because it takes so long to fill out the payment forms It does not offer an adequate integrated CRM tool for the management of customers. Timetap is highly recommended to keep our team (and our project) properly organized. It is perfect for scheduling appointments, since these can also be quite reprogrammable in case of an emergency, and to make reservations for large groups, which make it the indicated platform for trips and field work. Actually we have not had problems in our experience of using timetap. Thanks to its use, real-time scheduling has been made much easier for us, and now it is also easier to configure messages. It should be noted that timetap has also benefited us a lot in terms of the import and management of planning databases. We have also saved a lot of money, thanks to its good price. "Timetap has helped us a lot with our reservations"
We like the mobile access of timetap, because it allows to work very well the databases of clients, and online payments. It is excellent for managing room booking, and for creating online reservations. It also has an excellent system of appointment reminders that is very easy to customize. We also like Timetap because it allows us to methodically plan the agendas of commercial installations, and its event programming system is quite centralized. We like your Open restful API. Timetap lacks many functions, mainly for hiring personnel, because although it allows to schedule job interviews, and to monitor the interactions of candidates, it does not allow to review job offers or manage human resources. Nor does it have an integrated CRM tool that allows us to check our clients. Timetap is excellent, and highly recommended not only to handle online reservations, but also to customize booking forms and make automated recall campaigns. We are very satisfied with its use, and we will undoubtedly continue recommending it. It is primarily efficient for managing small business agendas. With timetap we have solved a lot of spending a lot of time working in group programming. Thanks to its system of synchronization of calendars it makes us much easier than before to be correctly coordinated. In addition, it is now also easier to make online reservations, and to make real-time scheduling. Its very economical price ($ 29.95 per month) has saved us a lot of money. "Timetap keeps us always well organized"
Timetap assists the user in the supervision of all kinds of planning, be it appointments, group activities, or even some type of course, and can be automated to fulfill some tasks independently. It also has segmentation tools to classify the data of leads and users. It has tools that optimize the management of online payments, and its calendar synchronization is very good. It lacks mass mailing and tracking of work teams so it depends on other software to fulfill these tasks. Also it does not run on other devices. In the creation of databases may present storage problems. We do not like your reservation system, because it takes to create them. We also do not like that timetap does not allow us to conduct criminal background checks. Timetap is a software that combines tools for data storage, project management and web analytics that facilitates internal communication and business activity. It has email extensions to back up and exchange information in real time. It is completely recommended for small businesses that require a better planning system. Timetap addresses a broad field of solutions and adapts to the needs of its users so it can assist any management and planning team. Its storage of data also provides an effective solution to the problem of lack of available memory. In addition, its management of the room booking management has made our plans feel much more peaceful. "Timetap is the best when it comes to organizing plans"
The timetap planning system is highly customizable, and offers an excellent room booking management system. Your Open Restful API offers quality integration, quite stable. Note that timetap offers stellar support, and a good view of exportable databases. It is also very easy to carry out automated recall campaigns with timetap. Timetap does not offer us enough options for checking curriculum, and does not allow us to properly manage human resources, so it does not work for these departments. Your calendar syncing is quite slow, as is your online payment system. With regard to the personnel planning system, this is very limited. Timetap is not so good at scheduling work groups either. Timetap is a highly recommended platform, not only for its ease of use, but because it offers many more alternatives for a good appointment than other platforms in its class, for a lower price (only costs 19.95 $ per month). In addition, it offers us an excellent online scheduling, since its deployment in the cloud is very good. We have solved a lot of problems with timetap, mainly those related to working from mobile access, and online payments, because its reservation system is excellent, very easy to use. Timetap saves us a lot of time by allowing us to easily perform the scheduling of each appointment, and online reservations. Your appointment reminder system helps us to constantly remember each event. "TimeTap is perfect for planning meetings"
This software offers an excellent system of alerts and notifications with which it is easy to keep abreast of the plans of the rest of the team. It allows scheduling completely in real time, and its scheduling of appointments is quite customizable. It also allows you to synchronize calendars to work on them in a cooperative way, which we think is excellent to motivate the team to work together. Your course programming system does not allow you to add enough information about them, and your online payment system is quite slow. Regarding curricular summaries, timetap does not allow organizing or analyzing them, and does not have an integrated CRM to help us properly manage the clientele (more specifically, potential customers). Certainly, we recommend timetap for its ease of use, and for how easy it is to schedule the activities of our working group. We are more than pleased with your use, and we will continue to use it to make the most of our plans. We highly recommend your tool for planning recurring appointments, because it has a good information storage system. Timetap is totally recommended. We had problems to keep track of the interactions with our candidates, but that is something that we have already solved thanks to timetap, because it is one of the strengths of the platform. Something that we like a lot about this service is that it also offers us the possibility of managing job interviews in a comfortable way. "Timetap allows us to plan each activity very quickly"
Timetap we like for its useful facility to automate recall campaigns, and how customizable their booking forms are. Its open restful API is excellent, very stable. It offers an excellent management of customer databases, and quite automated appointment scheduling. It does not allow to adequately review the candidate's personal references, which is quite a big mistake in his management of personnel hiring. It does not allow the administration of job applications or human resources. Neither does it have an integrated CRM tool that makes client management easier. We highly recommend TimeTap because it is excellent to keep track of the growth of our business. In addition, it is very good for processing payments and for online scheduling. Your dating reminder system is excellent, so we recommend you be aware of its use. We had no problems with our work, but the truth is that TimeTap has made our appointment planning processes, online reservations, and also the management of our clients' databases much easier. It is also excellent to keep track of the appointment. "TimeTap is perfect to stay constantly organized"
As software for planning, it offers us an excellent scheduling system for appointments and courses, which are completely automated. It offers an excellent room booking management, and the possibility of synchronizing calendars. In addition, its online booking system is very fast. It is very deficient to handle hiring, because it does not offer the client the possibility of doing analysis of curriculum vitae, nor a built-in CRM tool. You can not check references of applicants, or make evaluations. It does not offer a self-service portal. We highly recommend TimeTap, mainly because it is so quick to manage customer databases, and because of the extensively programmable nature of your appointment manager. It is excellent for making reservations, and your alerts to remember appointments are quite useful. We had great problems looking for software with which we could do room booking management, and in turn schedule work groups. Thanks to Timetap, these functions can be executed on the same platform, which gives us enough time to work better. "Timetap is customizable and easy to integrate to other platforms"
We like to be able to import databases, due to the ease that Timetap brings to this. Their recall campaigns (security) are excellent and very customizable, in order to always offer the best quality to the products offered by the business. "TimeTap: customizable platform and full of benefits"
"TimeTap is the ideal platform to manage our schedules"
We do not like your tool for recall campaigns. The set of default templates for events by TimeTap is too basic for any type of work, so you must proceed to create your own material, and the system is very unmannerable for this. "Timetap is a great tool for appointment"
"TimeTap is the best integration of sales pages"
It is easy to use and integrate into sales pages. I use it to organize group classes for the orientations of my gym. It is easy to use and allows me to be organized. Part of the programming was difficult to do because of the way the application works. For example, I used this software to allow lab participants to register at various time intervals that our researchers had available. It is not obvious how to include availability, especially when it is repeated. I would like you to send notifications once a call is scheduled to mark complete or incomplete. I often forget to go back and mark something as complete so this would be a good option. "Makes scheduling very easy and convenient"
I work with many different people that use Time Tap to schedule appointments for me. One of my favorite things about it is that it syncs with my Google Calendar, so when I schedule anything on my Google calendar, it automatically blocks out the time on Time Tap, and everyone can see it so it doesn't get scheduled over. So easy! Sometimes the address shows up under the notes field in my Google calendar, rather than in location field -where I would be able to just tap on the address and have it take me there. I don't know if this is due user error, or the app itself, so it may not be an issue with the app. But that's the only complaint I have. We appreciate you taking the time to leave us a review and we're so glad our software has helped streamline your team activity. Our external calendar sync capabilities will allow you to link to specific appointment location. I'll follow up via email with a few details about this capability. Thanks again! "Incredible support and feature set"
The support from Timetap is second to none. I reached out to a number of different solution providers and Timetap stood out, taking their time with me and providing detailed answers to my questions. I have been using their software for about 5 months now and their support and attention to detail is as good and consistent as day one. The feature set is diverse and can be used for a wide range of appointment and scheduling needs. There are significant customisation options, every staff member and event type's configuration can be fine tuned. There is so much you can do with Timetap that it can be overwhelming to set up properly. Thankfully Timetap mitigates this by providing upfront support and set up calls. "TimeTap is excellent for managing a variety of clients and types of meetings." I appreciate TimeTap's ability to integrate with my other calendars. Any time that I share my TimeTap link with a client, I am confident that they are going to schedule a meeting that accurately fits my current availability, minimizing the possibility for scheduling conflicts and unnecessary communication. I dislike the fact that there is not the ability for a client to set up a meeting with multiple staff at the initial creation of the meeting. TimeTap allows one staff member to add another staff to an already existing appointment, but this does not adequately serve the needs that we have when scheduling a client meeting with multiple staff, because our client is unable to see availability of all staff necessary when creating the meeting. Get your entire staff on board. Using TimeTap has reduced the amount of time that we spend scheduling and managing meetings, giving us more time to spend on more important tasks and responsibilities. Thank you, Scott, for taking the time to leave a review for us! We're so glad you've found TimeTap to be a valuable resource. Please let our support team know if there is anything we can do to help make our scheduler more beneficial for your organization! "This has significatnly reduced the amount of time making appointments"
There is flexibility in having multiple locations and multiple staff. The integration with our merchant account also allows for us to have people pay more conveniently. The auto reminders will also ensure our clients don't forget about their appointments, or if they need to reschedule, it doesn't require any time of ours. At this point, the review is asking me to submit more words to improve the total score, so I feel I am just writing here to get to the minimum number of words the system is looking for to allow me to complete this survey. There is not an option yet to allow for travel time between offices, so appointments can get jammed up if you don't address it with the client immediately after the appointment is scheduled. I would suggest they reconsider how they evaluate their surveys. This seems to be a very lengthily process and requires you to NOT become anonomys if you want to be able to close this survey down and continue on with the daily tasks that this software was supposed to allow us to benefit from. Here I type, and the survey is not happy with my total word count. I feel like I am writing a paper in 7th grade English class, counting down until I have hit the number of words I need. Thanks for taking the time to leave a review! I know we have a call scheduled tomorrow to work on the travel time for appointments feature. Hopefully we can get something figured out to make it work more efficiently for you and your team! "Very useful website but occassionally glitchy and difficult to use." The site makes it relatively easy for candidates to add themselves to my hiring staff's schedules. 90% of the time I only send an invitation to potential candidates and they do the rest themselves. Additionally I now have several templates set up to send email reminders that are customized and look more like an email I would send myself. So there is a bit of a personal touch. Something else I like is that the Timetap staff is helpful and has helped me work through certain issues via the chat feature. Sometimes the appointment times and dates show up as incorrect in the system, which confuses the staff and the person setting the appointment. In addition, sometimes certain features don't work as expected. I've been asking the developer team to make a certain field required during the appointment setting process for months. They told me they are working on it but still it doesn't function as it's designed to. Also the user interface is confusing. If I don't use a certain feature for a while, I have to teach myself again how to make those changes. I don't find it very intuitive. Finally on the user end, I believe that there may be some compatibility issues. People setting appointments often tell me they are experiencing errors, which means I have to manually set the appointment for them. Take some time to learn certain features and fully customize to your needs. It took me months to realize that there was so much customization available. Now the site and emails feel much more humanized and not so clunky. Also, there may be other ways to make this site fit into your day-to-day work. Take a little time to explore that. My offices uses Timetap primarily for for scheduling interviews with hiring managers in our offices. For the most part it works really well and allows me to spend time focusing on other things. I can set up profiles for staff in various locations and the candidate will know who they are meeting with, the location and directions to the site, and the time and date of the appointment. Once the appointment is set, the candidate receives an automated response with all these details. Then the day before the candidate also receives an email reminder which allows them to confirm the appointment. This frees up my time as I don't have have to send all the emails. Thanks so much for taking the time to leave us the review! I'm sorry it took our team so long to get the file upload field marked as required on the scheduler. Happy to report that we got that fixed last weekend! Should be all set for you next time you are opening up bookings. "Customer Friendly Appointment Scheduler "
The ability to provide information to customers through multiple points of communication. The ease of use of the back office and ease of use for clients/customers who book appointments. The tech support is always prepared to answer questions and trouble shoot issues. Sometimes the time zones are incorrect, this has led to client/customer confusion about the time of their appointments. It simplifies the scheduling of clients/customers. It can help drive traffic to one's own website. It provides the means of data collection on customers (such as e-mail and phone numbers). It allows for the repetition of key information to be presented in multiple formats to potential clients/customers. While WKU does not use the feature, it also has the means of embedding payment options within the application so that clients and customers may place a deposit, pre-pay, or be charged a noshow fee prior to their appointments. The back end of the software is incredibly user friendly, as is the front end customer experience. The tech support for Timetap is wonderful. They are always ready to pick up the phone and help with any questions their customers have. One thing to be aware of is that the billing through Timetap is monthly, be aware of when your credit card expires because they are very prompt with cutting service. Freeing worker time from phones to be allocated to other tasks. The ability to send multiple points of contact with information to customers. Thank you for taking time out of your day to leave us this review! It means a lot to our team here. I wanted to follow up based on the timezone issues. I know that sometimes if your clients are traveling when they are making appointments that the scheduler will pick up the timezone that they're currently in and set that for their appointment. Depending on how your client base meets with you, it may make sense to just turn off the timezone reader for your account and have everyone set to the same timezone. "Lots of features and great support"
This software provide tons of great features that I could only find in very expensive software. I work in a mobile business so scheduling my appointments could be quite tricky. With timetap they have a great feature that helps to ensure that you have enoigh travel time between each appointment. They also offer great features such as email and text notifications, approval process for bookong appointments, square payment integration, the ablility to sell packages and keep track of how many services are left in the package and much more. Whenever anything is wrong they are quick to respond and rectify the issue. After 2 years using Schedualicity, I am very happy with my transition and experience with Timetap and think they will continue to wow. The app is very poorly designed and basically unusable. I use the mobile webpage for everything. The app could use a major redesign and better usability but the mobile webpage works just fine for all my needs. I needed a software that allowed me to calculate travel time between appointments and allow me to accept or decline bookings to ensure that My day runs smoothly. This allows me to do all this and much more. "Small but powerful team with tremendous support"
I have a very customized need for TimeTap at my organization and their team has worked tirelessly to help me get it perfect. Whether on the phone or via live chat or email, they have helped explained their products, settings, and tools to me and even implemented changes for their service based on needs we discovered at our organization. Google Calendar sync issues cause a need for maintenance on my side and a UX which as of this review could use revising on the client side -- however, I believe this is in the works. We needed to have transparent scheduling and event updating and tracking to deliver live services to Fortune 500 companies. TimeTap has allowed our internal teams to submit requests for services and to sync these requests to multiple calendars. I'm so glad to hear that working with our team has been a positive experience for you! As for the Google sync issues, thanks for your patience! Sometimes getting two apps to talk to one another in the exact way they need to can be tricky, to say the least. If you've not already shared the Google sync maintenance work you have to do with our team, please feel free to reach out and let us know. We'd be happy to add a ticket to our development timeline to see if there's anything we can do to ease the burden on you. "Scheduling made easy and terrific support!" The automated way scheduling is handled - frees up time we previously used to coordinate schedules, class and appointments registrations. We have several multi-day classes (termed "courses" in timetap) and all of the functionality that exists for classes isn't available for courses. Take the time to understand your business needs and site set-up. Allow time to add and train additional administrators. Utilize the reporting to help make business decisions. Giving time back to employees to perform their job functions vs. spending countless hours scheduling, maintaining attendance lists, sending reminders, etc. Increased participation due to automated reminders (w/ zero extra time spent by employees). Additionally, we can easily run reports to view popularity of classes and/or program appointments and work load of staff. "A Set-it-and-forget-it experience with good customer support"
After trying other scheduling software for my on-line and in person music studio, I have found TimeTap to be a good solution. My students have found the steps easier to navigate, I like the intuitive design of the back-end and most students like the reminders. For those that don't wish them I can easily turn them off. When I've had issues that needed attention, customer service has been prompt and effective. There is nothing I dislike at this time. The most difficult, time-consuming part of scheduling music lessons is the flurry of emails, texts, FB messages and telephone calls trying to nail down mutually agreeable times. By streamlining the booking process I have found this tool to be a hassle-free way to remove this frustration AND have clarity with my students. Thanks for taking the time to leave us such a positive review! I'm so glad to hear that TimeTap has eased the burden for you and your students on managing your schedule. That's the whole goal after all! As always, please let us know if there's anything we can do to help you in using TimeTap! I really like how easy TT is to use and incorporate into our company structure. One of my favorite things was the customization available for the mini website design. I can change all kinds of little details to make sure everything is exactly as I want it. The only thing I can say I dislike is something that I'm sure will be enhanced with time. I would like to see TT open up more integrations. I'm able to schedule interviews for my company and have the interviewer update the status after each interview instead of trying to back track and figure out who showed up. Thanks for taking the time to give us this feedback! I know that you'd previously requested an integration with Bullhorn ATS. I'd love to understand more about how you need that integration to work for you and your team. We do have a comprehensive API so we'd just need to explore how you'd like the data to pass between applications. To discuss this as a possibility with our team, feel free to book a support call with me or another one of our team members here: https://help.timetap.com . Just leave in the comments while booking that you're looking to discuss an integration with Bullhorn. 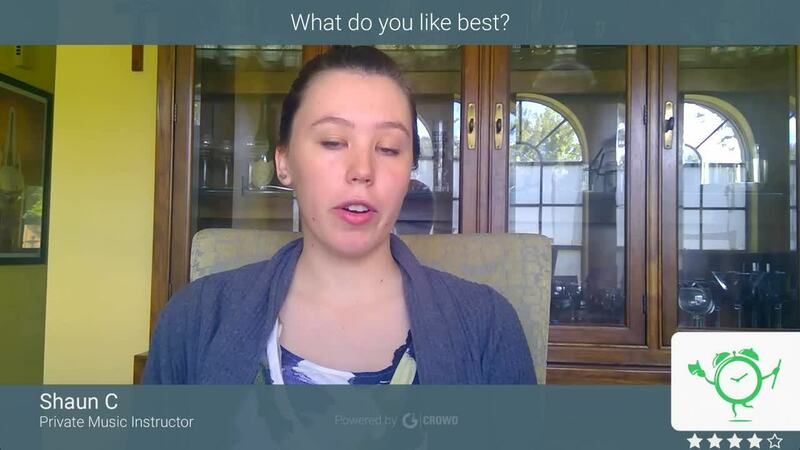 "I Think It Could Be Better"
I like the scheduling component, make it easy to set appointments. when i get a notice, none of my locations will show up so I end up having to find out who the email came from, what building they work in, and then I end up scheduling the appointment myself. So, in the end, there is really not a need for it as I can see it. Until that piece is fixed, this is pretty much useless to me. I have reached out to customer support, but that didn't get me anywhere. so, the idea of this is great. but there is a glitch somewhere that is hindering the progression to greatness. There is something that will not allow persons to select their location which is needed if persons are visiting classes to make appointments. That is a big issue for me. Then, when talking with support reps about this, they did not know how to solve this. Their suggestions did not work. That was frustrating. Eventually, overbooking is not an issue when the program is being used properly. In addition, you can see how productive you are being, whats getting done, where you spend your time, and on what kinds of tasks you spend that time. "Feature packed, amazing tech support, and it just keeps getting better!" There is so much I could say here, but I'll do my best to get to the important points. First, you should know that I spent over two years looking and testing different appointment programs for my personal training/ physical rehab business. I'm a type A, picky (slightly obsessive compulsive) person who strives for perfection in everything I do. I am that guy that does research and reads twenty reviews before deciding on a product. Every appointment program I looked at, or read about, seemed to be missing something, until I found TimeTap (from now will be referred to as TT). It's the bomb-diggity with the kitchen sink thrown in, and let me tell you why. 6. They never stop adding in new features! The first thing that I loved about TT was it's incredible customization. You can make this program do just about anything you want. All the email templates are customizable. The appointment mini website is customizable. You can even customize all the colors and information on your calendar, and that's just the tip of the iceberg. The craziest thing is, if there is some feature that TT somehow doesn't have, put in a request for it, and I bet it will appear within a few months. Yeah, you heard me right, a few months! I have been with TT for over a year now, and the features they have added over that time is mind boggling! I have never worked with a program that has had the amazing amount of growth that TT has. I have never worked with a company that has been able to accomplish the startling improvements to its product like TT has. And they just don't seem to stop adding awesomeness to it. Now, don't be intimidated by all the features, changes, and customization. When you sign up or do the trial, just make an appointment for a phone conference with one of their tech specialist. They will walk you through everything. I highly suggest this because during my trial period I thought there were things TT couldn't do, but when I worked with the tech, they had all kinds of ways to make TT work the way I wanted it to. This brings me to my next point - Instant, intelligent, tech support. They don't send you to a forum, or contact you the next day. They simply fix the problem. If it's a bigger problem that takes a change in their program, they get to it in a day usually. Some of the issues you may have could take a week or two, but not if it's something crucial. That in itself is amazing! I'm so use to other companies (apple, microsoft, adobe) who's programs are full of glitchy problems and it's six months to a year before they fix them, but not TT. I worried about TT being reliable, but it has been pretty damn good. No major problems causing meltdowns with my clients, or disappearing appointments. My 80 year olds can figure out the interface. I have no more double booked clients showing up, unless it's totally their fault :), and I always have the system logs to back me up. Oh yeah, system logs, that show you if your client received the email reminders and it also tells you if they opened them. This takes such an incredible stress of my shoulders. Also having the ability to keep track of invoices and payments. TT just streamlined my business, completely! My favorite feature, and the one no one else had, was an AUTOMATED WAITLIST SYSTEM. This has increased my revenue by 20%!!!! It's so crazy. I just sit back and see the emails come in of clients canceling their sessions and then 2 minutes later, a client on the waitlist has booked the newly opened session. And I had to do nothing to make that happen. Here's some other numbers you may like. The hours upon hours I spent emailing and texting clients back and forth about appointments, are no longer waisted. The times I stressed about screwing up an appointment with a client - gone! TT has illuminated 5+ hours of busy work out of my week. I just sit back, let it do its thing, and enjoy my full schedule. If you care about your business and your clients, and you want to be and look professional, then you need TimeTap. I constantly hear from clients that they are impressed by my appointment system. How useful and easy it is to use. They love the ability to take control of their schedule. I know this is a long review but I want you to know that this program is the one for you. If you are a self employed therapist, hair dresser, trainer, or you run any kind of business with appointments, TT will change your life! I have searched and I have tested so many other appointment programs and nothing has come close to TimeTap. I honestly feel like this company legitimately cares about what its clientele needs, and they are constantly striving to give it to them. They have listed to me over the year and somehow added in all the things I could have wished for. Timetap is a life change for me, and it's leaps and bounds above the competition. They don't have an app for clients to use to book appointments. The app they do have for instructors to use ain't that great, but I just use my iPhone with the regular program and have no troubles. Every once in a while something glitchy happens. Welcome to technology. Good news is, they always fix it, fast. Us the tech support and sign up for a call. They can screen share with you and help you setup your account they way you want it. TimeTape is so feature rich, there is probably something you would like to use but you just don't know how to, or where to find it. Its a huge program, but it's not overwhelming, just let the excellent tech support walk you through it. It solved No Shows. I now feel relaxed and confident that my clients know when they are scheduled. It gave me an easy way to keep track of invoices and payments, as well as packages. It allowed clients to be on a waitlist and get into my schedule, and therefore increased my revenue by 20%. It allows clients to take control of their schedule. It saves me time and reduces my stress. It saves me from paying a front desk person to manage (and probably screw up) my scheduling. I know you left this review a few months ago but I'm just now going through to respond. I really appreciate all the fantastic feedback you've given us and continued support as we grow our team. I'm so glad that TimeTap has been able to continually improve to match more of your needs and that you've been so clear in communicating those needs to us. Thanks again for all you do! For me the best feature is the integration with Google Calendar , I can easily syncronize all the appointments to keep my day organised. Another great feature is the auto reminder because it reminds me and my client that we have an appointment. Try it if you need an appointment scheduler , It will surprise you! I run a home-based cupcakery. I love that TimeTap allows for block scheduling to allow multiple bookings within a certain time frame. It has the amazing option for personalizing automated responses for appointments, reminders, rescheduling, etc. It even alerts and reminds me as the owner when I have an upcoming appointment keeping me on top of things! It has so many features that make running a business easy! I would love if there was an app available for cellular devices. I use TimeTap to book appointments and it does the talking to the customer for me, confirming and adjusting appointments. So I can spend more time perfecting and baking cupcakes than writing and corresponding to emails. Thanks so much for taking the time to leave this positive review for us! I'm so glad that TimeTap has made delivery and pickup scheduling for your cupcakery easier and more streamlined. Let us know if there's anything we can do to make it easier for you! "Great product for Student Success and Retention offices! " I love being able to put notes in about each meeting and love that it syncs with our Outlook calendars. I wish there was a pop-up reminder feature like Outlook or that when the appointments transferred over to outlook that it automatically set a pop-up reminder. Students don't miss meetings as often now! We don't have to have a student worker send meeting reminders. We have detailed notes on each meeting now. So glad that TimeTap has helped get more students to their appointments! If we can reduce your no show rate then we're doing our jobs right! I know we have a ticket in place for the Outlook Sync reminders to get set. Check in with our support team for any status updates on that. The fact it allows our clients to book time with me based on their availability and mine. It also gives them the time in their time zone, and puts it on my calendar in my time zone. This helps us determine who is serious about looking at our products because they set up the meetings with us. So far nothing to dislike. We tried an internal system that wasnt quite working for us and so far Time Tap has met all our expectations. So really nothing to dislike about this product. Less people no show for our scheduled meetings as they pick the time and date. "TimeTap - intuitive scheduling with great automation & support"
TimeTap is easy to use, but the automation is what put it over the top for me. It has a really good scheduler that can automatically filter appointment availability based on services or locations as the client makes selections. It's intuitive for the client to choose an available date & time, and the automated emails and texts worked perfectly. It's the best scheduling system for the money out there. They also have great support. I wish I had a little more control over the look & feel of the scheduler. Helping individual music lesson teachers and tutors offer online scheduling and payment for their clients. TimeTap as become a virtual assistant and improved efficiency in scheduling meetings, while doing it in a professional and well designed manner. I can't recommend it enough. Setup was a little confusing at first and could probably be simplified over time. Including a link in my signature makes scheduling emails so much easier. I receive a text message anytime someone signs up for a meeting with me. This is a great tool. You will see more clients keep appointments because of it. Also, it is nice to have it unbundled from other tools because if it doesn't work, you can switch it out without changing all your other tools. Not much to dislike about it. I don't remember whether we can use it to confirm meetings at multiple locations. This makes everything so simple. It's an easy q and a for your client to set an appointment. I've given up on other harder to use scheduling software. This helps you retain customers. I'm not happy about it being a subscription. I'd like it ALOT better if you could just buy the software out right and then updated versions like they do with Windows, etc. Too many things are subscriptions right now that don't need to be. Dont waste your time with othwr schedulers. This one is the best. It helps with customer retention and frees up a mass amount of time on the phone. "First time using online scheduling "
Timetap is easy to use and set up. Whenever we have run into any problems, customer service is there to guide us through the process to reset sessions. It would be helpful if we were sent a text message when sessions are scheduled by clients. Checking the schedule becomes time consuming. Since clients can book sessions last minute, sometimes we wish we were notified in real time when they schedule. This is a good, no frills online scheduling tool. Very to the point and does the basics. So far we are happy with the product, and have been using it for just over a year. Less time scheduling through messaging— clients go right to time tap and we can have more uninterrupted work. Looks professional to use an online scheduler as well. Hey there! Thanks for your review. I just wanted to let you know that you can receive text message notifications as a staff member when a client books with you. If you need help setting this up, just reach out to our support team by using the in-app messaging feature. I love that it connect with my apple calendar. To connect everything is very easy. Their support team is always on top of it. i dont dis-like that i can not book multiple appointments at the same time as a trainer i do small group training and i would like to book up to 4 people at once but it doesn't allow that option. Functionality, customization, robust, ease of use, great training modules, and new features always rolling out. User interface could be a bit more modern. Just try it! You will continue to be surprised by how much functionality there is within the system. They are very customizable and have excellent customer support. I love its agility, its live and helpful customer service and its great interface with iCal. 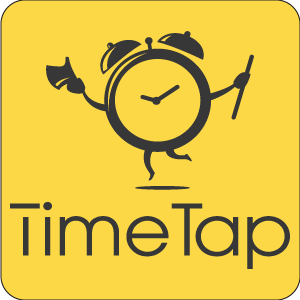 I tried many online schedulers before I discovered TimeTap and none came close to the range of what's available with TimeTap. I have not found anything to dislike at this point. I wanted to save time by automating my scheduling. It has saved me so much time, added to professionalism, and allowed me to capture information when someone is making an appointment that I'd otherwise have to ask and note myself. Timetap has saved me SO much time and cut out many emails back and forth to candidates when trying to find a time to connect. I wish that I could send someone a link that would sinc to two different calendars. When a coworker and I do interviews together, it's a bummer that we can't send out one link that will work for both our calendars. The interface and integration widget is really spot on. The ability to add events either virtually or physically is very helpful. The analytics are really great to work with. I would like to have the ability to schedule more than one campaign within the same account. Having to create a new account for every campaign is cumbersome. Scheduling multiple campaigns. NutriMost dinners, NutriMost Webinars etc..
"Full-featured with great customer service"
Customer service is excellent! I wasn't sure whether the features I wanted for my small business would be worth paying for, but between the free trial month and a personalized onboarding call, I was able to figure out which features worked best for me and my team. I honestly can't think of anything at all! I wanted an easy-to-use service that would automate scheduling for a team of tutors serving 20-30 students, reminder emails/texts to clients, and invoicing. We liked that we could allow people to schedule via different, private links so that not everyone was looking at the same availability. we primarily use TimeTap to allow residential home buyers to schedule their walks with the builder. Since there are multiple walks per buyer and homes deliver at different times, it was nice to have the capability to create schedules specific to a group of homes. The flexibility, the system allows us to make changes on the fly to fit our needs. Customer support is responsive as well to help make the changes. Website is slow, makes it difficult to schedule on the backend user side. We are using this in the Healthcare industry for scheduling patients and it has been very effective in reducing overbooking, no shows, and cancellations. The messaging reminders also allows us to send extra information prior to appointment. I like that clients can schedule, reschedule, and cancel their own appointments. This takes a lot of emails and time off of my hands of working with the schedule. It's easy for clients to use as well. Sometimes clients get confused on the time when they make an appointment in a different time zone. Prioritizing our time is very important in our industry and it's very helpful when we don't have to work with schedules overlapping and booking more than one appointment at a given time. We have found that it benefits the client as well to see what times we are and aren't available as well. The text reminders and emails are awesome. Every once in awhile I enter an appointment and it takes awhile to visually show up in the calendar. I save the time of phone calls regarding appointments, changing times, scheduling and confirming can be completed through the system. Clients can also log on and schedule when it is convenient for them. I also have reduced wrong times and missed appointments. It asks relevant questions and seems to be intuitive. Not sure yet, and need to try it more in depth. Scheduling music lessons. Not sure of benefits yet. So far the customer service has been ideal. Response time is great. We have found it could use some flexibility in terms of customization. "Time Tap is sooooo User Friendly"
It has reduced the walk-in traffic just to make appointments. * We monitor all TimeTap reviews to prevent fraudulent reviews and keep review quality high. We do not post reviews by company employees or direct competitors. Validated reviews require the user to submit a screenshot of the product containing their user ID, in order to verify a user is an actual user of the product.